Although there is an increasing interest in the role of personal networks in migrants’ social protection, they are usually either treated as ‘given’ or the ‘second-best’ option for protection against social risks such as poverty. Altın Günü (The Day of Gold) is a specific form of Turkish women’s networks functioning as a type of rotating savings and credit association promoting both savings and make financial capital available to its members with trustworthy relationships. It is exclusive to women with rather selective membership based on ethnicity, class, marital and migrant status. Although it is common practice in Turkey, it is widely neglected as a specific form of social protection once it is practiced after migration. Migrant women were already familiar with the concept and practice of Altın Günü and they have adapted to Germany shaped by their needs, obligations, and location. Drawing on qualitative interviews and participant observation among Turkish immigrant women in Germany, this article offers an in-depth analysis of such personal protective networks. In so doing, this article not only addresses the ways in which informal lending circles of migrant women are formed and utilized, but also highlights the processes of hierarchization of membership and redistribution of valuable resources within and across borders. Migrants often rely on their interpersonal ties for social protection to reduce uncertainties and social risks such as unemployment or poverty. Previous research showed that interpersonal ties ease migrants’ settlement by acting as safety nets (Lin & Dumin, 1986; Portes & Rumbaut, 1996; Ryan, Sales, Tilki, & Siara, 2008) and thereby contributing to their well-being (Kuo & Tsai, 1986). 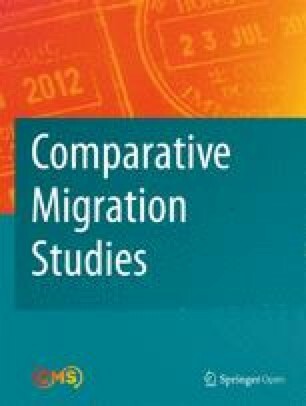 Moreover, transnational studies indicate that while migrants forge new ties in the countries of immigration, they simultaneously stay connected with their family and friends in their countries of emigration and elsewhere thanks to the advances in travel and telecommunication technologies (Bilecen, Gamper, & Lubbers, 2018; Faist, 2000; Levitt & Glick Schiller, 2004). Hence, migrants usually have multiple interpersonal ties spread across a variety of places. Despite mounting evidence of the consequences of migration on migrants’ interpersonal relationships, to a major extent they are still treated as given structures where presumably ethnicity plays the main role in accessing to valuable resources (Anthias, 2007). However, ‘[l]ike other social structures, access to migrant networks (and the resources they deliver) is a contingent process’ (Gold, 2005, p. 272). In other words, migrants do not form their personal networks (even with co-ethnics/co-nationals) without effort, they need to socialize in certain events such as breakfasts, cultural or religious ceremonies to form personal networks with resources (Bilecen, Çatır, & Orhon, 2015). One specific type of personal network in the context of Turkish migration in Germany is Altın Günü (The Day of Gold) operating as an informal lending circle, thereby making lump sum of financial capital and emotional support available to its members. Its membership is rather confined along gender, ethnicity, migration and marital status, as well as class. As the Days of Gold accrue valuable resources of social protection and confined to very specific groups in a society, it is an interesting case to understand its operation from a network and social protection perspective in a migration context. Although it is common practice in Turkey exclusive only for women, it is widely neglected in migration studies and as a specific form of social protection. Therefore, the main aim of this article is to investigate how migrant women form local networks and use them to protect themselves and their families from social risks such as poverty and exclusion through an analysis of the Altın Günü. While personal networks have a crucial role in migrants’ lives, a handful of studies indicate gendered nature of those networks. According to Al-Ali (2002), while migrant women stay connected with their significant others in their countries of origin, they synchronously create alternative social networks to make up for the absence of their family support. Similarly, Hondagneu-Sotelo (1994, p. 187) argued, men and women migrants have different networks and ‘resources are not always equally shared and automatically pooled within the household or family unit’. Menjívar (2000) examined Salvadoran migrants’ networks in the US and found that in comparison to men, women migrants are at a disadvantaged position due to lack of financial and material resources. Moreover, Hagan (1998) explained differences in incorporation patterns of migrants based on personal networks men and women are embedded in with different resources. In the migration context, prior studies also investigated mothers and their personal ties particularly in the realm of care (see, for example, Ryan, 2007; Yeates, 2012). Recently, trust has been acknowledged to play a crucial part in migrants’ personal networks (Tilly, 2007). In that vein of research, this article aims to contribute to personal networks, gender, and migration literatures through an analysis of lending circles of migrant women from Turkey that serve the material and social needs of women. Migration from Turkey to Germany dates to 1961 with the guest worker agreement, through which mainly male manpower was targeted (Bilecen, 2016a; Fassmann and İçduygu, 2013; Martin, 1991). Hence, their wives followed them in the later years (Baykara-Krumme & Fuß, 2009). In another wave of migration after the oil crisis of 1973, women labor force was also sought after even more than men and during that period Turkish women arrived in Germany as pioneers usually encouraged by their fathers or husbands (Abadan-Unat, 2011). In 2015, there were around 2.9 million Turkish migrants living in Germany (1.4 million first generation) constituting the largest migrant group in Germany (Migrationsbericht, 2015). They were a rather heterogeneous group coming from diverse backgrounds. Migration status of women from Turkey to join their husbands as ‘dependents’ had major consequences for them particularly in the labor market such as lower wages, or their earnings being perceived as ‘complementary’ to the male breadwinners (Kadıoğlu, 1997). Up until recently, Turkish women in the media and literature were usually depicted as ‘traditional’, icons of cultural difference, rather passive and oppressed, who have migrated to Europe following their spouses (Ehrkamp, 2010; Inowlocki & Lutz, 2000). However, as Abadan-Unat (1986) and Erel (2009) illustrate women are individuals with agency who have also gained autonomy through international migration. Organizing Days of Gold are a common practice of women living in Turkey. When they migrated to Germany they continued to organize Day of Gold to socialize while also pooling money to sustain their everyday lives and support their wider family members. Although lending circles or Rotating Savings and Credit Associations (ROSCAs) exist for both men and women, when it is about poverty, development and credit allocation, studies usually look at those groups organized by women often not employed and interested in contributing to household income and/or have some extra cash for emergency use. According to the study conducted with Turkish Cypriot women Altın Günü is a custom coming from mainland Turkey and is specifically considered a women’s activity with economic and social benefits (Khatib-Chahidi, 1995). Similarly, Summerfield (1995) argues that Somalian women in the UK form ROSCAs to enable and maintain some independence from men in households while they can also facilitate women’s separation from their husbands. Hence, ROSCAs constitute a way of empowering women by mutual assistance of other women (Ardener & Burman, 1995). However, it has also been noted that the empowerment through income or credit generation by ROSCAs should be taken into account together with the changing power relations in the households or in societies (Tinker, 1990). As pointed out by Anthias (2007), social valuation of ethnic networks is a crucial dimension in migrant incorporation; however, when the personal connections are poorly valued in the overall society, they might not be that helpful in overcoming certain disadvantages. The rest of this article is divided into four parts: First part is devoted to the literature review on migration and the role of lending circles as a form of social protection of migrants and their families living in a variety of locations. Second part introduces the research design including the larger study it is based on, sampling, data collection and analysis strategies. Third part includes an investigation of the ways in which Turkish migrant women in Germany form Day of Gold groups and allocate resources within and across borders. Finally, the concluding part engages with the wider debate in migration, gender, and lending circles as prime examples of personal networks for social protection. Migrants can rely on a diversity of personal relationships like family, friends, and neighbors but what is different in their case is that their social ties tend to be located across different geographies, mainly located both in the countries of immigration and emigration. It has so far been argued that those personal ties in the countries of origin are significant particularly in care relations (Baldassar & Merla, 2014; Kraler, Kofman, Kohli, & Schmoll, 2011) as well as in supportive resources (Bilecen et al., 2015; Boccagni, 2013). Nevertheless, there is also empirical evidence that geographical proximity is decisive in migrants’ exchange of financial resources, emotional and instrumental support (Bilecen & Cardona, 2018; Baykara-Krumme, 2008; Ryan, 2004, 2007). According to Ryan (2007), although transnational ties are important for Irish women living in Britain, strong ties within local neighborhoods with other women proved to be main sources of emotional and tangible support. Similarly, others remark that co-residency has a significant effect on the amount of support received particularly for women with children leading to better health outcomes (Kana’iaupuni, Donato, Thompson-Colón, & Stainback, 2005) indicating the importance of local social ties in social protection and well-being. This is not to suggest that locality is the only decisive factor in forming social ties (Wellman, 1979) but points at the risk of underestimating the significance of propinquity. Equally, it is also not to idealize migrant communities established in the countries of immigration as they can include shifting, contingent, and sometimes fraught nature of social ties (McMichael & Manderson, 2004). While usually migrants’ networks have been depicted as supportive, there is also increasing evidence that their networks can also impose control, social obligations, and expectations as they tend to be ethnically homogeneous and dense indicating most of them know one another (Anthias & Cederberg, 2009; Portes & Sensenbrenner, 1993; Menjívar, 2000; Zontini, 2010). Social protection involves a variety of tangible and intangible resources and activities that reduce social risks that might impede the realization of life chances such as unemployment, lack of care, or malnutrition (Faist, Bilecen, Barglowski, & Sienkiewicz, 2015). It is composed of both formal (state-led welfare schemes including social security and welfare benefits) and informal elements (family, friendship, kin or community-based systems), and therefore, enables us to investigate a wider landscape of activities, which seem to exist and are usually analyzed separately, despite the fact that they are strongly connected. Most of the existing literature on migration focuses on family and ethnically based community networks or religious communities through which migrants have access to resources (see, e.g., Glick Schiller, 2005; Reynolds, 2006). These informal network-based protective resources play a particularly crucial role in the lives of migrants who are not only ineligible for or excluded from access to formal welfare schemes (Sabates-Wheeler & Feldman, 2011) but also for those who deliberately chose to rely on them. I rather argue that transnationalization of migrants’ lives leads to an increasing amount of negotiation regarding their and their families’ social protection within and across borders, whether it is about caring for and about their families or ordinary day-to-day household maintenance (Faist et al., 2015). As migrants try to secure their livelihoods and protect themselves and their families (regardless of their location in emigration or immigration countries) they also make use of local interpersonal ties, which are usually underestimated (Ryan, 2007; Wierzbicki, 2004). According to the previous literature on social networks, men have larger networks with more friends and colleagues in comparison to women (Moore, 1990). There are also gender differences in use of protective resources generated in networks. Previous studies show that women are more likely to mobilize social assistance especially from other women more consistently in periods of stress (Taylor, 2011). Women tend to be more supportive not only towards women but also to men suggesting that women might be better providers of supportive resources to men than men are to women. According to Umberson, Chen, House, Hopkins, and Slaten (1996), men are less likely than women to provide support but usually receive support from a spouse, daughters, and female relatives. In several other studies, men nominate their wives as the main and only source of emotional support, to whom they confide personal problems and difficulties, whereas women report that they are likely to turn to their female friends first, then female relatives and in the third place to their spouses indicating how women tend to trust and confide each other (Glazer & Kiecolt-Glaser, 1994; Phillipson, 1997; Thoits, 1995). In migration studies, for example, Menjívar (2000) argued that while women were at a disadvantage because they do not possess valuable resources, but because of their involvement in public sphere they have much diverse networks than men, so that they could draw important information from their personal ties. Hence, previous studies pinpoint to a gendered support gap. I argue that this gap also explains the current study’s sample migrant women’s organization of lending circles to make up for their disadvantaged position and lack of resources. Another strand of research usually by developmental economists investigates how individuals organize lending clubs or money-go-rounds which are called rotated savings and credit associations based on trust, solidarity and reciprocity with a financial aspect. ROSCAs have rather a simple main principle: a group of people who ‘typically live in the same community’ (Anderson & Baland, 2002, p. 964) gather for a series of meetings at regular intervals during which everyone contributes to a common pot with a constant contribution and every meeting the pot is allocated to only one member of the group. The meeting process is repeated until every member gets the pot. Afterwards, the lending club is dissolved or could be regrouped, and another cycle begins. Since the contributions are fixed, and the time frame is set, they operate with the logic of ‘balanced reciprocity’ (Sahlins, 1972). That is exactly how the Days of Gold of migrant women from Turkey operate in Germany. According to Geertz (1962), ROSCAs are intermediate institutions between traditional patterns of cooperation in a society and more modern forms of social organizations of financial assistance usually in the development process. Unlike formal financial institutions that intermediate between unknown borrowers and lenders, ROSCAs are typically formed among people who know each other relatively well and anticipate knowing each other into some unknown future, which forms an important pressure to meet obligations in any given round. ROSCA groups are not necessarily concerned with efficient economic gains like a credit market would but rather display an economic logic embedded in the expectation of effectiveness of social structural and relational elements (Biggart, 2001, p. 147). Generally, ROSCAs are conceptualized as informal lending circles formed by the members who have little or no access to a formal social security network. They are the prime examples of safety nets of the poor or migrants. They are rather common practice among migrants in various contexts. For example, ROSCAs exist among Caribbean migrants in New York (Laguerre, 1998), Asian (Light, 1972; Light & Gold, 2000; Light, Kwuon, & Zhong, 1990) and Mexican migrants in the US (Vélez-Ibánez, 1983, 2010), and Jamaican migrants in Britain (Sterling, 1995). According to the study conducted by Vélez-Ibánez (2010), regardless of class background ROSCAs are common practice in Mexico. In the same study he argues that while until early 1990s ROSCAs were mostly practiced by lower-class Mexican migrants in the southwest of the US, recently they become widespread also among middle-class migrants mainly serving to fulfill migrants’ economic needs. Similarly also in Turkey, the Days of Gold are organized by all women who have different occupations and education levels (Büyükokutan, 2012), thus belonging to different class backgrounds. While women with different class backgrounds engage in organizing lending circles in Turkey, they are rather confined among themselves. Recently, in the migration context, ‘trust networks’ have been defined as groups whose members ‘place major valued collective enterprises such as the preservation of their faith, placement of their children, provision for their old age, and protection of personal secrets at risk to fellow members’ malfeasance, mistakes, or failures’ (Tilly, 2007, p. 8). This article empirically illustrates that ‘trust network’ concept as a subset of larger migrant networks can be applied to the Days of Gold where the trustworthy relationships are in the spotlight similar to ROSCAs organized by other migrant groups. There is ample evidence that ROSCAs promote capital accumulation leading to migrants’ success in small ethnic businesses in the contexts of immigration (Castells & Portes, 1989; Light et al., 1990; Min, 1988; Portes & Sensenbrenner, 1993). For example, Oh (2007) illustrated that point clearly through an investigation of Korean migrants’ use of ROSCAs to accumulate startup capital for financing their nail salons in New Jersey while receiving social support. Against this literature background, to examine the lending circles as social protection practices, this study draws on interviews and participant observations with Turkish migrant women living in Germany. As part of a large-scale project1 investigating transnational social protection and inequalities (see Bilecen et al., 2015), this study consisted of twenty semi-structured interviews and personal network analysis with migrants from Turkey living in Germany (Bilecen, 2016b; Bilecen & Cardona, 2018). Interviewees had an equal gender distribution and were between the ages 25 and 85. The sample included both Turkish and Kurdish ethnicities. The interviews were conducted in two middle-sized cities (with around 300,000 inhabitants) in northern Germany in 2011 and 2012. The interviewees were invited to talk about their experiences with their mobility, social protection, and various other aspects of living in Germany. This included speaking about their everyday activities in private and public domains and their personal and social ties with those who live in Turkey and elsewhere. They discussed at length the implications of their mobility on their daily lives and social protection, stressing the transformation of their relationships with family and friends comparing their lives before and after migration. Four out of ten female interviewees mentioned that they are engaged in lending circles, which then led me to do regular participant observations. Two of them, namely Münevver2 and Berna granted me the opportunity to participate in their the Days of Gold in different cities. Münevver’s Day of Gold was composed of ten women (two of them were part-time employed, whereas four were housewives, four were pensioners), while in Berna’s Day of Gold there were seven women (two of them were full-time employed, five of them were part-time employed, and one was a pensioner). Employed women in the sample were usually working in the service such as customer attendants, cleaning, or domestic care sectors that are mostly menial and yielding low earnings. In both of the lending circles, women migrated to Germany following their spouses or fathers. Among all the seventeen members of both lending circles, the highest achieved education level was high school, while the majority of women had primary school education. They all received their education in Turkey before they migrated. Moreover, in both lending circles all member women were married with children where the only newly-wed was the exception who was a second-generation migrant with a vocational training completed in Germany and she was unemployed when I met her. Based on their education and working arrangements, it can be said that the participants of lending circles in the sample belong to working class or have a working class habitus in a Bourdieusian sense (Bourdieu, 1977) even some of them have never been officially employed. I participated in total of 8 Days of Gold within 2 years and each lasted at least 3 hours, which allowed me to have a glimpse of the complexities of lending circles organized by women. There, I could observe the dynamics of the Days of Gold and I could witness discussions among women on issues including practicing household chores, division of labor within households, financial and family dynamics. All interviews were transcribed verbatim and merged with field notes from participant observations. I have translated the interview quotes and field notes in the text from Turkish, which is the mother tongue of the participants and myself. Data collection and analysis are performed simultaneously utilizing techniques derived from the principles of grounded theory (Corbin & Strauss, 1990; Glaser & Strauss, 1967). Münevver first came to Germany in 1975 at the age of 21. Right after she got married in Turkey, her husband left to work in Germany. Two years later they were reunited. She has exchanged letters with her friends and family back in Turkey, while also forming new relationships in Germany. When asked about the relations to her friends in Germany, an interesting fact was revealed that she is a member of an Altın Günü which until that day was unknown to me that they are also being organized in Germany. Münevver stated that her circle of friends in Germany consists of women she first met at a women’s association in her neighborhood twenty-eight years ago, most of whose members were migrant women from various countries. She also stated that her ties to women to whom she had to talk in German language loosened over time, but that her ties to Turkish-speaking women became closer. The women formed their own subgroup but continued to participate in the organization’s activities. According to Münevver, their subgroup has been quite active, with activities including learning to ride a bike, protesting against war and drug use, conducting first aid, and art and crafts courses (silk painting), and participating in workshops supported by the local authorities on nursing and elderly care at home or on how to separate and recycle garbage that is an important knowledge in the German context. While the larger women’s association served as a platform to learn more about Germany, and other migrant women during the initial years, their subgroup has had different functions. The ten-member core group is still the same as it was when it was founded, with a few additions. These ten women of the original group began to organize Altın Günü. In Turkey, women pool their resources in the form of golden coins in the lending circles to deal with fluctuations in Turkish currency. In Germany, however, it is directly adjusted to the German currency not only because it is more difficult to find Turkish golden coins in Germany, but also the easiness to use it in their daily lives. At the beginning, each member of Münevver’s Day of Gold had to pay in 50DM at meetings; now contributions are adjusted to 100€, so the sum every month collected is 1000€. This sum is significant when one considers the fact that most of the participants of the Day of Gold have part-time employment conditions (whose monthly earnings less than the half of that sum) or engaged in unpaid labor at home. In other words, Days of Gold give access to a big lump sum of money to women with a working class habitus who live on tight budgets and mainly dependent on their husband’s monthly income. The Days of Gold have specific rules and exclusive only for migrant women from Turkey with a certain class background based on trust, reciprocity, and solidarity. The Days of Gold involve some basic formal rules. It usually takes place during an afternoon at the home of the member whose turn it is to host the meeting and the host prepares something to eat. The group usually consists of 10 to 12 women. There is usually one person in charge of organizing the meeting date. This person also announces the meeting. She knows who might be interested in participating and builds a group of women she trusts and believes to be able to make regularly payments every month. Such a group may consist of the organizer’s friends, neighbors, co-workers or relatives. The organizer collects the money or golden coins and makes sure that absent members also make their contributions. In the beginning, a lottery is drawn to determine the sequence of rotation and the dates of payment. However, if the designated member is unable to host the meeting, changes can be made, and the organizer must make sure that all other members know when and where the meeting takes place. Through migration it is transferred across borders though with some transformations. The Days of Gold in Germany are similar to the ‘traditional’ ones in Turkey, because in both contexts it is exclusive for women, but the age range is a little wider to include women as young as 20s and women over their 60s in the same group. When I had the opportunity to take part in their Day of Gold, I saw that one of members had brought her daughter with her. She was in her early 20s and had recently joined the lending circle after she got married. All the participating women in both circles were married or widowed. Topics discussed in Germany are also similar in the Days of Gold in Turkey including giving birth, marriage, children, work–life balance, fashion, and cooking (Büyükokutan, 2012). In addition, women in this study also talked extensively about their lives in Germany as migrants, about their children’s education in a foreign environment and language, and their transnational family obligations in Turkey. During the Days of Gold in Germany, participants talked about money transfers to Turkey and the ways in which they think other family members are spending. Unlike most Day of Gold groups in Turkey, the groups in Germany do not consist primarily of one individual’s first degree of friends and relatives. In Münevver’s Altın Günü the members of the group first met at a women’s association. Two of them became relatives when their children got married. Münevver and other members also reflected on the composition of their Day of Gold: migration had enabled them to meet in Germany, otherwise if in Turkey they would have been members of different Days of Gold because of their dispersed geographical location across the country. As Münevver said: ‘We are an original group, look: Turkish, Laz, Circassian, Georgian, Alevi, and Sunni—a mixed group.’ Hence, migration influences the composition of Days of Gold with inclusion of women from different regions and ethnicities; nevertheless, still all members are from Turkey as language was a decisive factor as well as being married. Although not every husband supports financially or accepts their participation in Days of Gold, women keep organizing them even secretly not only with financial concerns but also –even more importantly– with socializing aims and use their gatherings to protect each other emotionally when they feel alone or isolated in the migration contexts. Despite their differences in terms of their husbands’ expectations and perceptions, all women I have talked to –employed or unemployed– want to keep organizing such lending circles also in the future to protect themselves and their families. The next section investigates further the economic aspects of lending circles particularly on the allocation of the money and local and transnational use of the collected pot. While Münevver’s Altın Günü pools the money and then decides who should be the next to get it during their meeting; in Berna’s case they draw a lottery during the first meeting. However, there might be some changes in the turns depending on some circumstances and usually with prior notice. In Münevver’s circle once two women were supposed to be the next to receive the money (as they shared before in another turn due to an emergency with other payments for children’s schooling), but when one of the younger women, the newly-wed daughter of one of the members, said she needed the money badly, the older members decided that she should take it and that they would determine who should be the next to get the money at their subsequent meeting. Similarly, during one of the meetings in Berna’s Altın Günü after the pot was given, there was a request for change of the next month’s allocation. Even though next month was Gülseren’s turn to take the pot on the request of Figen, they decided to give it to her because she said that she is involved in two other lending circles in addition to this one with different women, and thus, different payments she needs to track. That month she had to pay to two other circles and therefore said that she needs the pot and the group agreed to change Figen and Gülseren’s turns. Later that day, I have also learned that Figen invests in her husband’s local ethnic market with the money she generates through those three Days of Gold she is involved in and she was very proud of that. This situation not only exemplifies how financial capital pooled together in women’s local networks is used for their wider household expenses and businesses, but also that how women – although marginalized in the labor market like Figen due to her ‘lower’ skills and unemployment – in their families seen as one of the main contributors to the household; thus, challenging power relations and patriarchal hierarchy in their families. When I further told Figen that I have met women who had to hide from her husbands of their involvement in lending circles, she said that she is familiar with such husbands. She attributed them as men who would not like to see the contribution of their wives into the well-being of their families through financial means but only through doing household chores and raising ‘good’ children. Figen further depicted such critical and opposing husbands rather ‘backwards’ as ‘they [husbands] would like to be the powerful one in the family. They want to bring the only money to home as if that is enough to keep the family together. They are the greedy ones you would see, once they would see that she has some money, he would just try to take them all from her and spend it.’ In that way, Days of Gold challenge men’s sole breadwinner situation in their families through making capital available to working class migrant women who otherwise would be very largely dependent on the men’s income for household budget. It turns out that some women are members of other lending circles as well, and there were brief discussions about multiple memberships in both groups on multiple occasions. Figen, for example, argued that being involved in different circles bring her not only economic benefits – which can also be burdensome sometimes particularly during her payments and scheduling – but also involvement in different social circles. Hence, she characterizes them as ‘being connected to many other women at the same time.’ That way, she stays informed on many other issues such as the house market in Germany and Turkey, further investment opportunities, social events, etc. She also mentioned that ‘you cannot save alone and if you would like to save more, then you should be involved in more circles’. While Figen perceives her involvement in several circles as desired or a prestigious status as it is a proof of her trustworthiness by many other women, during her absence Ayla mentioned that ‘some of our friends involve in many other circles as if we are here only for money’ insinuating that social aspects of their get-together is much more important (which will be further investigated in the next section). As indicated by Ayla, it can be said that involvement in a Day of Gold can also be interpreted as a signal of need and as some others mentioned that their husbands think of these circles as ‘unnecessary’ or even ‘a waste of time if saving money is the main goal’. However, those women experience an increase in the authorization on financial decision-making in their households, able to budget for unexpected expenses, and overcoming to raise their children with insufficient access to certain resources at the expense of being categorized as needy in the social hierarchy within migrant population. All members of both Days of Gold talked about the things on which they had spent the accumulated money in the past as well as about their plans on what to do with it. For instance, Münevver used to send her share regularly to her mother in Turkey to support her household until she died in the mid-2000. She has also used her money to go on vacation with her group and has bought herself a ring to always be reminded of solidarity among women, which shows that money is a factor in the group dynamics, although there are also other important values they share. Some of them have also sent their money regularly to their extended families in Turkey, mainly for providing care for children and the elderly, either in the form of durable goods or in the form of money. For instance, Seda mentioned that her mother had a chronic illness and her family in Turkey needed to hire an informal caregiver daily, so she sends her Day of Gold money to Turkey to take care of her mother although she mentioned it is not the ‘best’ option meaning that she should have been there and taking care of her mother. Nermin sends money to her married unemployed daughter in Turkey on a regular basis to sustain her household. Some other women have used it to satisfy their daily needs mainly for kitchen utensils or shopping. Berna was planning to use her share to redecorate her flat in Germany while Ayşen mentioned her plans about going to vacation to Turkey and spend the money there with her family for quality time. Therefore, the collected pot is used to protect their families both in Turkey and in Germany in different forms either directly as financial protection like Nermin’s or Figen’s cases or indirectly such as in the case of Seda. All participants stated that as a social activity, Days of Gold are of major importance to their lives. It is not only about saving money, but also socializing, and sharing their daily lives with each other in a way caring about and protecting one another as also previously argued by Biggart (2001). The women concur that money is not the prime goal of such meetings but ‘it is just an excuse to see each other regularly’ because whether they are employed or not, with or without children, they experience these gatherings as a window of time only for themselves. Seda also called these meetings as her ‘personal therapy, a sort of relief’ that has supportive functions, and thus, contribute to her well-being in general because usually when she has a problem she can share with those women. ‘Rezzan agrees with Berna that she likes to dress up and go to different places every month with her friends. She said she is really looking forward to their meetings and she does not perceive their circle purely as economic as she said, ‘I like to save in this way, but it is not the only thing we do, I also like to have a routine with friends, something to look forward to’. ‘Melahat’s absence was discussed and the way she wanted to send her payment was frowned upon and led to tensions because ‘Melahat did not participate the second time in a row and called that months’ organizer Ayşen to ask of her bank account details to transfer the amount without delay’. Although the members were content that she was paying in time, there has been a discussion on the way she talked to Ayşen as if their lending circle had a purely economic function. There were also discussions whether to exclude her during the next round. Therefore, membership can also be lost in the Days of Gold under certain circumstances and clearly not spending personal face-to-face time and socializing with members are very important criteria. Membership in such circles comes with a lot of social control of each other and their families while knowing a great deal of personal lives inside out, so not everyone is invited in such networks. After all, as Berna said ‘it’s all about having tea with friends’ where personal presence is required, thus making lending circles as place-bound trusting structures for the members that contribute their general well-being. Unlike most of the previous studies focusing on economic aspects of co-ethnic migrant lending circles (e.g. Castells & Portes, 1989; Portes & Sensenbrenner, 1993), this article examined the rather overlooked functions of social protection practice of migrant women from Turkey, namely Altın Günü. As a lending circle, Days of Gold that were already familiar to migrant women continued to be practiced after their migration to Germany and structured through migration processes. They operate as local personal networks composed of only women with other selective criteria such as language, ethnicity, kinship, marital status, class, and country of origin based on trustworthy relationships. After all, members get to know each other in detailed aspects of their personal lives and keep each other’s secrets. Moreover, they need to be trusted to keep up with the monthly contributions that make the Days of Gold as a form of trust networks in migration (Tilly, 2007) that provide informal social protection. The resources that was made available through Days of Gold was a concrete site of local and social relationships with far reaching implications on wider social circles of the members. While some choose to spend their savings for their families in Germany, others also send them regularly to Turkey to protect their extended family members, acting as culturally appropriate way so that fulfilling the ‘left-behind’ family members’ expectations while meeting their transnational social obligations. A greater awareness of the within and across border implications of those financial contributions pooled through Days of Gold contribute to our understanding of how migrant women with low income also generate financial resources to protect their families within and across nation-state borders. As a result of migration, the composition of such circles transforms and includes more diverse persons from different geographies and ethnicities even though still limited to one country of origin and language. Although having members from a diverse geographical background due to their migration experience to Germany, those personal networks are organized locally as the principles of propinquity and face-to-face interaction are still perceived as necessary and relevant in socializing going beyond its financial function. In the light of the role of trust on group formation, the analysis presented in this article suggests that Days of Gold succeeded in forming a local supportive network for women, thereby augmenting the valuable resources available to them. As Ryan (2007) as well as Light et al. (1990) suggested migrant women form local networks supporting each other. Similar to the research of Oh (2007) with Korean migrants in the US, the analysis presented in this article pinpoints to the social and emotional aspects of lending circles organized by Turkish migrant women in Germany. While being protective for women and their families, such lending circles are nevertheless socially downgraded by the husbands with the fear of being categorized as needy in the social hierarchy within migrant population. While this study only focused on women’s perspectives on Days of Gold, future research should also investigate men’s perspectives on such lending circles. Furthermore, we do not know perceptions of the native population on such protective structures organized by migrant groups. As Anthias (2007) argued that it is crucial to understand the social valuation of migrant networks not only by migrant communities but also in the wider society. What also became clear during the analysis of the Days of Gold are the gender dynamics within married migrant couples. The empirical data of this research illustrated that some women even had to hide such gatherings while thinking their participation as having positive returns for the family not only in economic terms but also in some cases for the survival of the marriage. As the latter exemplifies, Days of Gold are women’s practices of social protection through socializing and talking about worries or problems of migrants’ everyday life while also saving money to be spend autonomously by women for themselves and their families in both countries of emigration and immigration. While it would be an over-exaggeration to attribute Days of Gold as a way of empowerment for women within their patriarchal families, I have shown that they nevertheless contribute to the well-being of women in their everyday lives as migrants, mothers, and wives. In so doing, this article contributes to the literature by not only looking economic gains made by saving within local migrant networks, but mainly highlighting their importance in functioning as wider safety nets for low income migrant women. Further avenue of research could delve into whether migrant women with higher class backgrounds also engage in such practices and if so whether their dynamics are similar or different than those presented in this article. The project, entitled ‘Transnationality, the Distribution of Informal Social Security and Inequalities’, is funded by the German Research Foundation (DFG) within the framework of the Collaborative Research Centre (SFB) 882 at Bielefeld University (2011–2015). For more information about the project, see https://sfb882.uni-bielefeld.de/en/projects/c3.html. In the framework of the project, it also collected data from migrants with Polish and Kazakh origins as well as data from various sources, such as document analysis, expert interviews, and matched interviews with interviewees’ significant others in the respective emigration countries. After all, it is a special occasion to invite guests over and the home should be perfectly organized (see also Benedict, 1974). I am grateful to Thomas Faist, Karolina Barglowski, Eleonore Kofmann, Ayşe Kadıoğlu as well as the anonymous reviewers for their useful comments. I would also like to thank all the women who participated in the study through opening their social relationships, homes, and lives. This research was funded by a grant from the German Research Foundation (DFG) within the framework of Collaborative Research Centre 882 ‘From Heterogeneities to Inequalities’ at Bielefeld University. BB carried out data collection, data analysis, and drafted the manuscript. The author read and approved the final manuscript. Başak Bilecen is Rosalind Franklin Assistant Professor in Sociology at the University of Groningen. She is an affiliated researcher with Center on Migration, Citizenship and Development at Bielefeld University. Her research focuses on international migration and transnational studies, social protection, social inequalities, and social network analysis. She is the author of International Student Mobility and Transnational Friendships (Palgrave Macmillan 2014). She has co-edited 3 special issues in international peer-reviewed journals (Population, Space and Place in 2015, Journal of Ethnic and Migration Studies in 2017, and Social Networks in 2018). The author declares that she has no competing interests. Bilecen, B. (2016a). Guest Worker Families in Europe. In C. L. Shehan (Ed. ), Encyclopedia of Family Studies, pp. 1011-1016. Wiley-Blackwell. https://doi.org/10.1002/9781119085621.